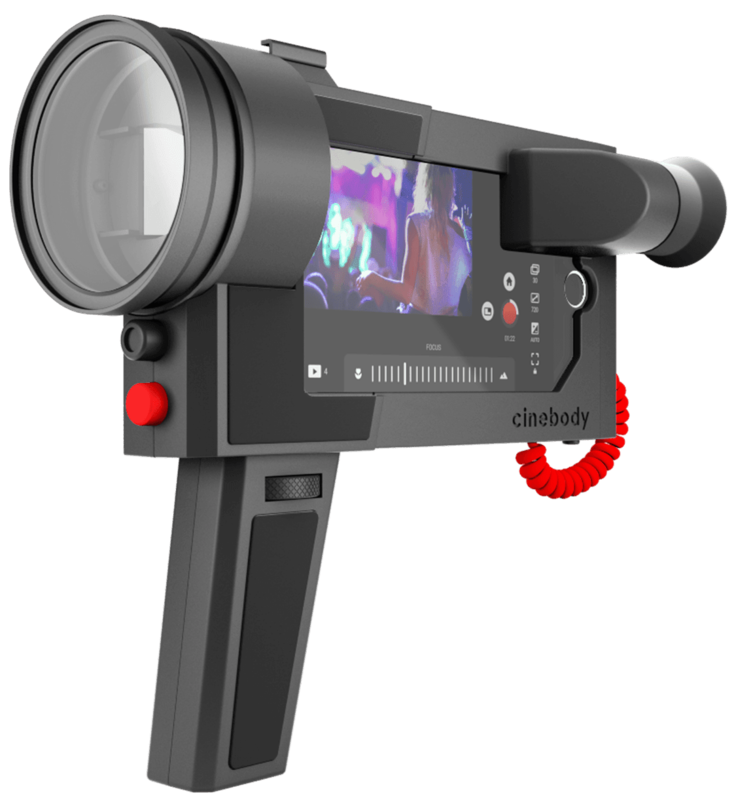 The Cinebody combines the technology of modern digital video with the design, ergonomics and the storytelling narrative from the golden age of Super8 film cameras. Slide your iPhone 6 or 6s into the case and snap the latch closed to keep your iPhone safe and secure. Connect the red power cord to your iPhone to enable the digital trigger, the directional microphone and our suite of digital controls. 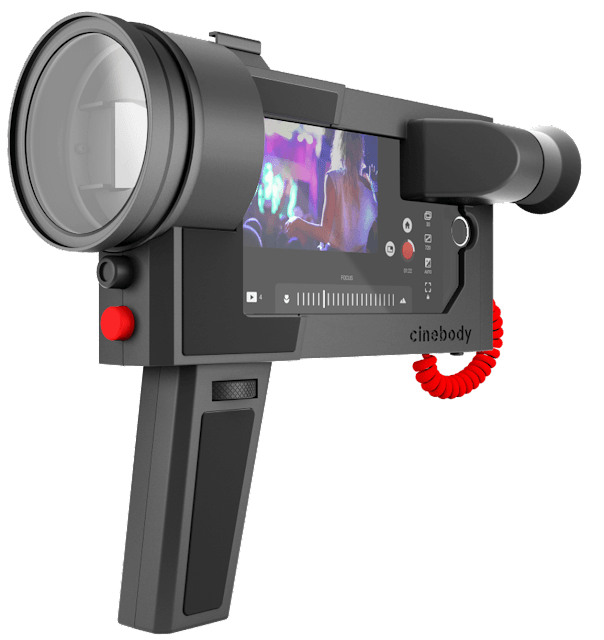 Launch the free Cinebody app. Access precision controls, Easy Roll shooting, and editing with Cameo. Pull the trigger to film and let go to stop. It’s that simple. You’ll never miss another shot wondering if you’re recording or paused. And for hands-free filming simply tap the record button on the screen. Cold shoe is the industry-standard for mounting mics, lights, handles and other accessories. App (coming soon) allows for manual control of exposure and focus. See what you’re shooting in even the most extreme bright-light conditions with our patented focusing eyepiece. Interchangeable 58mm optical-quality glass lenses. Wide, fisheye, telephoto. Simple, intuitive trigger. No more missing the shot or filming the ground. Handles don’t just look stylish, those ergonomics mean you get a steadier shot.